Everything from the pickup at the hotel, the sightseeing and the traditional lunch was very well organized. My guide, Billy, was a wealth of knowledge. Time well spent in China. The private day tour started on time. Marco was very knowledgeable and shared not only historical and cultural facts but also legendary stories. He also knew the best spot where to get that perfect picture. The tour was fun, efficient and value for money. Having witnessed the lines into the sights and walking right past them with Linda, to the history we would have never been able to read (the signs come no where close to what Linda knows), we would have wasted our Saturday in Beijing trying to do it on our own. 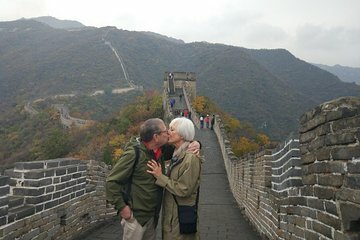 This was a, (The Wall) "Bucket List" for me and figured, "why not do it right" and ordered a tour... OMG - I would have done it so wrong if I hadn't! Wasn't that excited for Forbidden City etc, but mine as well see it all (again - Wall was my focus). Can't even imagine if I missed all the interesting history of the full tour from Linda. 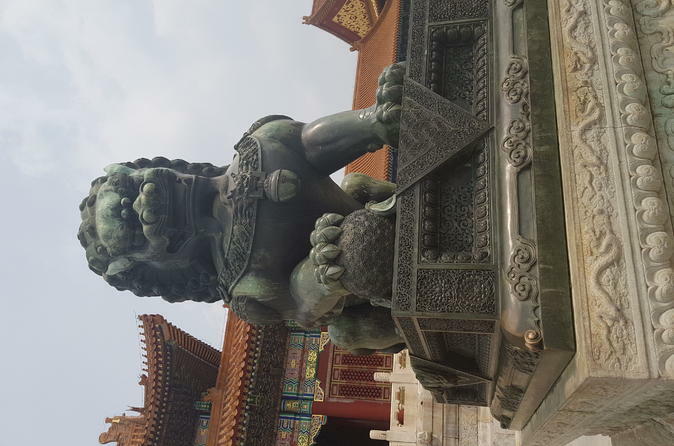 Case in point - we are in Xi'an right now (the next weekend) and never thought twice about buying a tour (car, guide, translator etc) to see the Terra-cotta Warriors, City Wall, Wild Goose Pagoda, Muslim Street etc. If you are not sure whether you should spend a little more to enhance the experience - my advice is -it is the only experience (especially if you already spent a significant amount of money to even be there). Go get it and do it right! The tour was well-conducted by Linda Sun Ling Ling, our guide. She is very well-informed about the various places we visited and allowed us plenty of time to look around and ask questions. She also helped us take photographs whenever we asked. In a city where the language barrier can be daunting, this took the stress completely off of figuring out where to go and what to do. Very polite and knowledgeable. Lisa was very great tour guide. And driver was attentive. Thank you all! A great tour was made even better by Sally, our tour guide. She was very knowledgeable and happy to answer questions about the places we went – and about life in China in general. We went during the very busy Golden Week Holiday. Sally timed everything perfectly to avoid the worst of the crowds. This tour is a must for people visiting Beijing. our tour guide Joyce met us at our hotel, sweet lady and very knowledgeable about her Chinese culture and history. beware, the first week of October is a national holiday and all tourist attractions are packed with people, traffic jams going to the great wall and long lines to get into attractions. Amazingly, Joyce found us short cuts to get into the forbidden palace. Lunch was delicious, our driver Mr Wu negotiated every obstacle with precision, both of them were very patient with us.